Baltimore's City Council will officially decide on Michael Harrison's nomination next month. But he took the reins Monday as acting commissioner, saying he's relocated to Maryland's biggest city and is eager to help transform a demoralized department distrusted by many of the people it is tasked with protecting. The 49-year-old has spent his entire 28-year law enforcement career with the New Orleans Police Department. 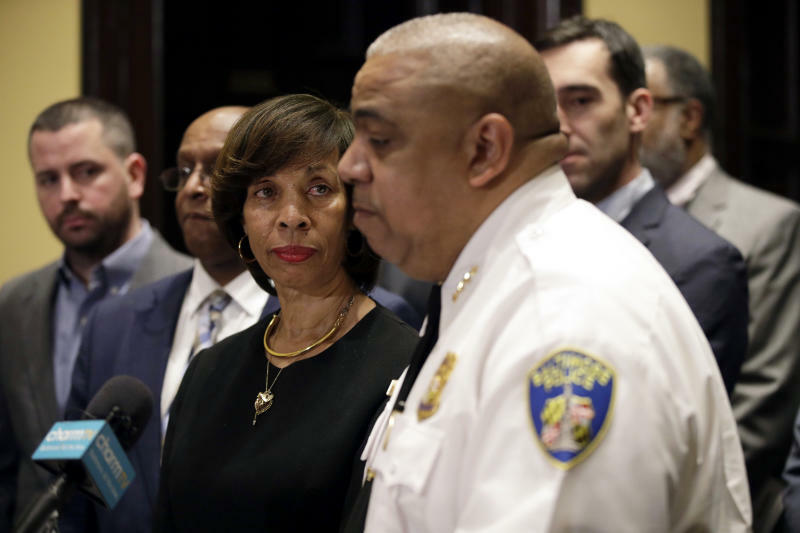 He now faces a formidable to-do list in Baltimore, which led all big U.S. cities in violent crime statistics in 2017 and has been mired in scandal, plagued by mismanagement, and recurrently paralyzed by leadership instability. He's the fourth police leader during the administration of Mayor Catherine Pugh, who took office in December 2016. Harrison pledged he will not tread cautiously on rooting out wrongdoing and misconduct by police colleagues. Last month, the U.S. judge enforcing a federal oversight program requiring sweeping police reforms in Baltimore said the city's force appeared to have a "culture of timidity" in confronting corruption within its ranks. "There will be no tolerance for corruption," said Harrison. "I will make strong certain and swift decisions when those things are brought to my attention." Harrison also stressed that he's eager to advocate for Baltimore's police officers and ensure they get the resources they need to be successful. 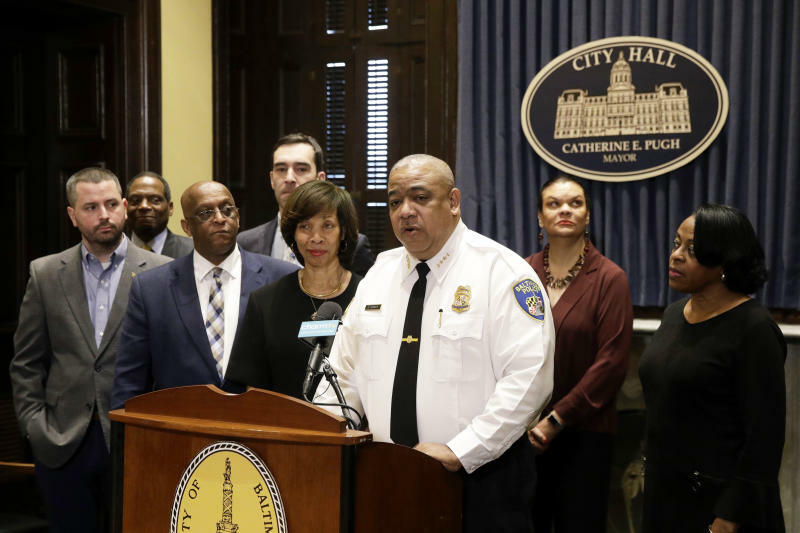 Having spent roughly a decade in police internal affairs in New Orleans, Harrison said it's essential to beef up that critical division in Baltimore so it can investigate any allegations of law-breaking or professional misconduct by officers. "We want to make sure that we have a very robust, competent, efficient and effective internal affairs division that can function the way it's supposed to function," he said. As part of a charm offensive, Harrison will attend nine community meetings across Baltimore in the next two weeks. He says he's eager to engage with city residents and start helping to repair broken relationships between law enforcers and citizens. "It will always be about relationships. It is the one way that together we will make Baltimore a great police department," said Harrison, who's also an ordained preacher with a reputation for being approachable and willing to listen to others' viewpoints. An internal shake-up appears imminent as Harrison seeks people to serve as leaders under his command. On Monday, he said he an organizational assessment will help him "build the appropriate team so that we can be successful." Harrison helped New Orleans' formerly scandal-plagued force implement ongoing consent decree reforms after becoming superintendent there in 2014. He took that job in the second year of New Orleans' federal consent decree process. A 2011 report by the U.S. Justice Department depicted a department in which officers often used deadly force without justification, repeatedly made unconstitutional arrests and engaged in racial profiling. On Monday, Harrison said it took about "five years for us to be at what we would call 'substantial compliance' in most areas" under the decree in New Orleans. Last year, Harrison helped drive down New Orleans' homicide rate to its lowest level since 1971. Rapes, burglaries and shootings also declined. "I truly believe, and certainly he does, that he's up for the challenge," Pugh said. One of Harrison's first closed-door meetings in Baltimore was with the city's top prosecutor. He said they planned to discuss her office's recently announced policy to stop prosecuting marijuana possession cases, regardless of the fact that possession of more than 10 grams of pot remains illegal in Maryland.